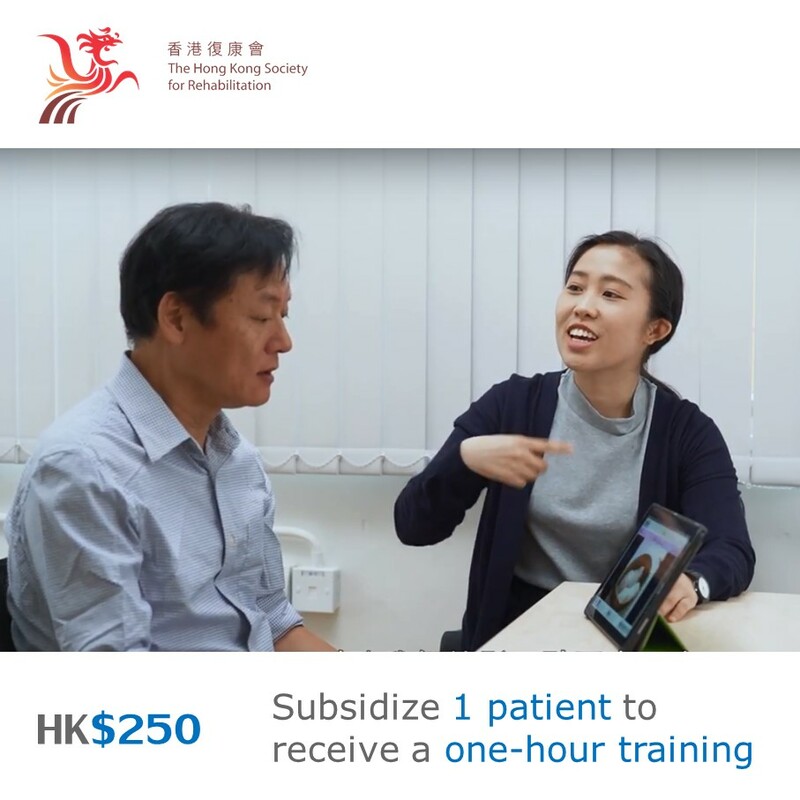 The Hong Kong Society for Rehabilitation | Giving patients with speech disorder a chance to speak again! 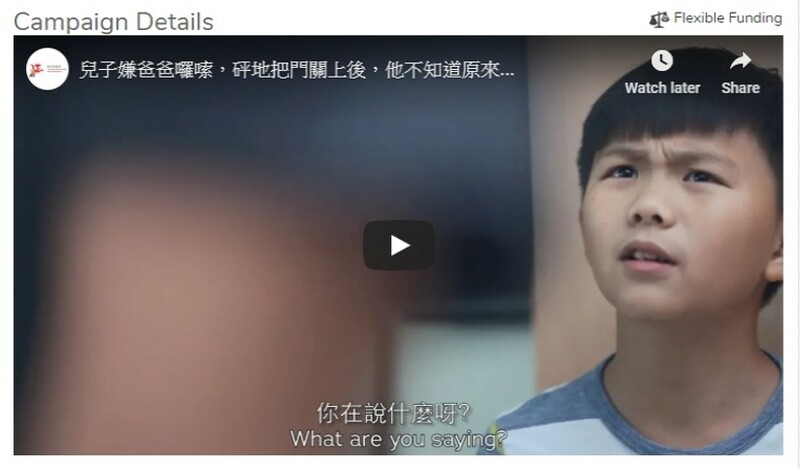 Giving patients with speech disorder a chance to speak again! After the stroke happened, patients often lack suitable therapies and supports for their recovery, especially in speech therapy. 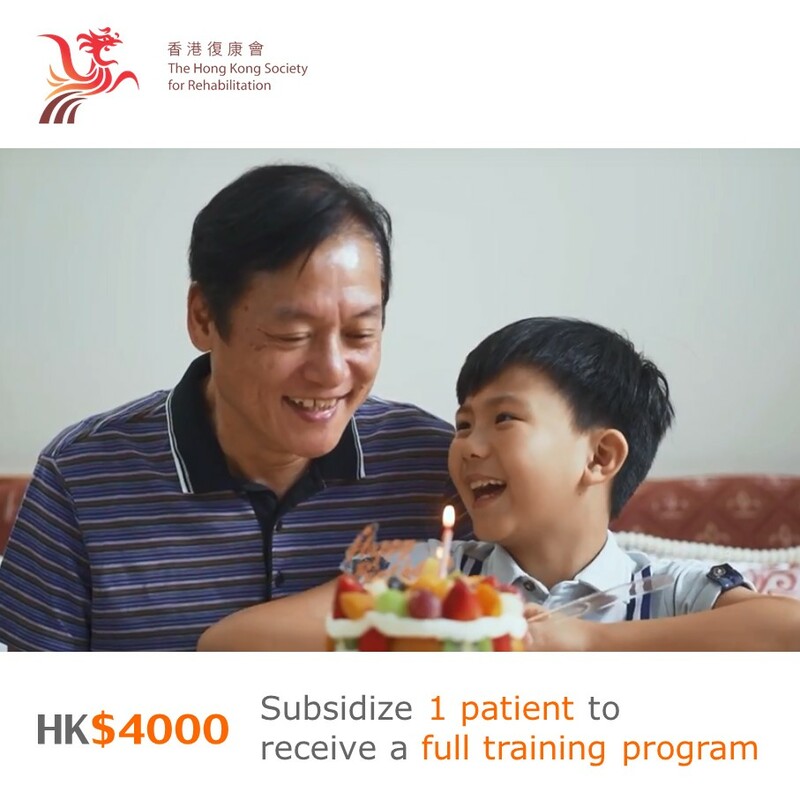 Current speech therapy in Hong Kong mainly focuses on early-age children. Adult speech therapy is actually in high demand and not affordable for less advantaged stroke survivors. Therefore, irrespective of ages, stroke survivors may miss the golden recovery period of rehabilitation. 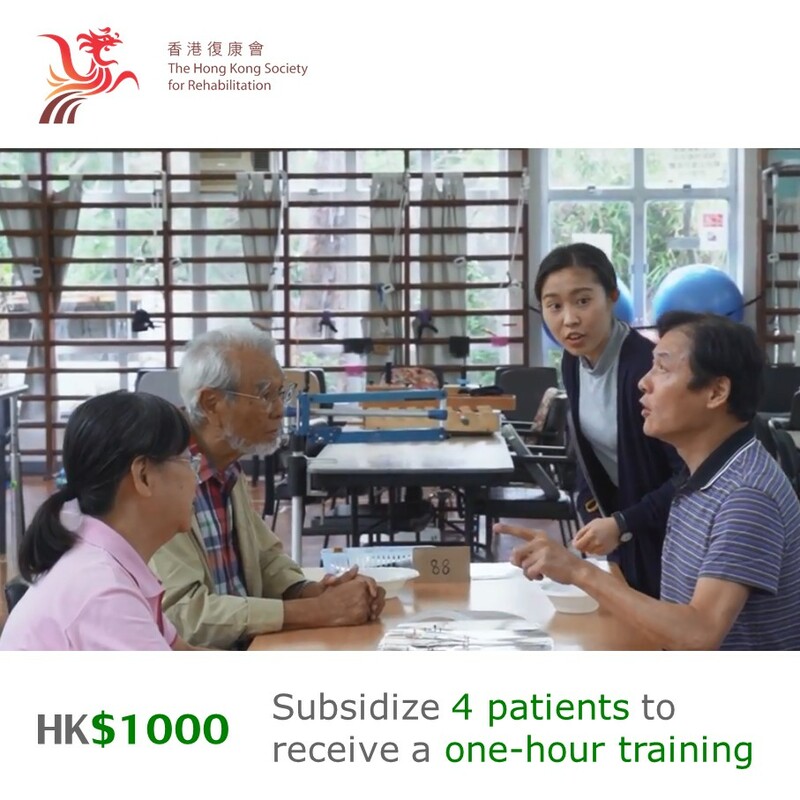 Please support the latest crowdfunding project of the Hong Kong Society for Rehabilitation on or before 20th December! Your donation can help stroke survivors to enjoy a quality social life and give patients with speech disorder a chance to speak again! Crowdfunding is a practice of funding a project by raising a certain amount of money from the general public via the internet. 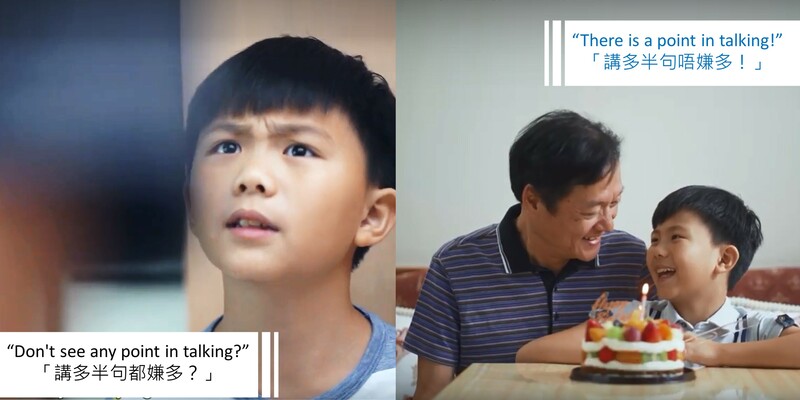 The son was disgusted with his nagging father and slammed the door, he doesn’t know… Interested in knowing what happened? 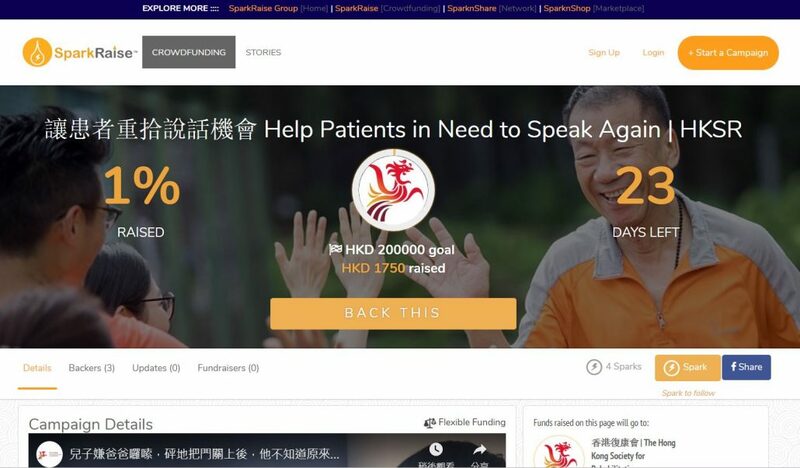 Please visit the crowdfunding platform, Sparkraise, to learn more!